Along with playing in the water, and holidays, the summertime brings plenty of good food. There are specific things to eat that go to the top of the list when summertime comes. A few of these delicious snacks might provide relief from tinnitus. How well you hear, and not what you consume is really the issue. A contributing factor may be the food that you eat though. Consider seven summer treats that you might want to think about that may help with tinnitus. Tinnitus isn’t a disease, it’s a sign of something else going on with your body, and, for most, that implies hearing loss. When your hearing worsen, you can start to experience phantom sounds like ringing, buzzing, or clicking. Even though it’s not very well comprehended, it might be your brains reaction to hearing loss. 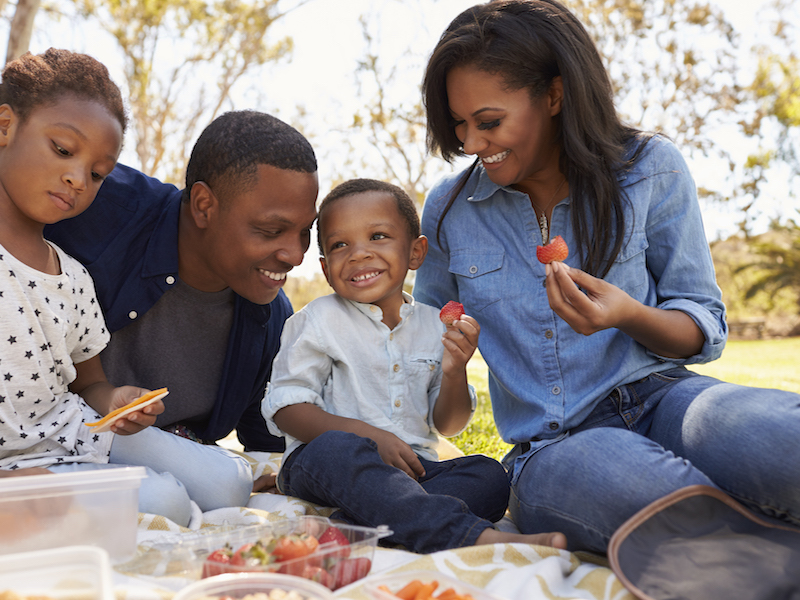 The results of your eating habits on your health as well as your tinnitus this summer is something to take into consideration. So, what can you eat this summer that will aid your tinnitus? Try these seven ideas. A smart low fat and tasty summer option is barbecued chicken. It is flavorful enough that you don’t have to over season it with salt, too. Being high in vitamin B12 means that barbecued chicken can help reduce tinnitus. Take off the skin before grilling. The fat hides in the skin. Be certain to thoroughly clean your hands and counters right after handling uncooked chicken. A hot grill is important while cooking chicken. That better keeps in the flavor and makes sure the meat reaches a safe temperature of 170 degrees. If you pop a banana into the freezer it’s not only a sweet snack but also a refreshing one. Just simply peel your bananas, push a pop stick in the bottom and freeze. You can even put chocolate or peanut butter on them prior to freezing. Bananas are loaded with potassium, which helps the numerous fluids in the body to flow better to reduce tinnitus. Pineapple might be helpful for tinnitus because it is an effective anti-inflammatory. It also has numerous ways to munch on it. You can serve it uncooked as a dessert or a snack. You can chill it in juice to make a fruity popsicle or add a piece to a cup of iced tea for flavor. You can make a kabob or grill it with some meat. It has no fat and few calories, making it the perfect summer treat. Steep three pieces of fresh ginger in four cups of water for 15 minutes. After the tea cools pour it over ice. You can add to it for more flavor like a lemon slice, or play with the recipe to suit your flavor taste. Your blood pressure can be lowered by eating kiwi. It’s high in calcium, magnesium, potassium and it contains more vitamin C than an equal-sized orange. Grilled meats, desserts and salads are all complemented by this fuzzy brown fruit. If you drop a slice in your favorite summer drink, you get a unique flavor. It also contains healthy fats and carotenoids to combat disease. The downside to the avocado is calories, so a small amount goes a long way. Add it to your favorite summertime salad dish. This summer season, go out and appreciate some sensible, nutritious treats. Your hearing may just thank you by ringing less.